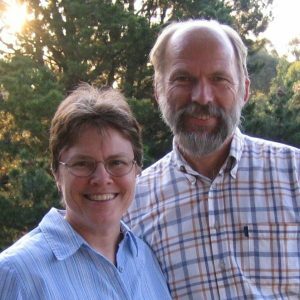 Nico and Pam Daams joined Wycliffe Netherlands in 1975, but since they are now based in Australia they moved their membership to Wycliffe Australia in 2018. They began their work in Bible translation in the Solomon Islands from 1978 - 1990, working with the Polynesian language of Rennell-Bellona and later also with the Tikopian language. In 1990 Nico was appointed director of Wycliffe Netherlands and the family lived in the Netherlands for the next 6 years. While serving in the Netherlands, the Rennellese New Testament was completed in 1994. In 1996 Nico and Pam began work with the Kapingamarangi group in Pohnpei, Federated States of Micronesia. A large and committed team of translators and reviewers helped complete the New Testament and a shorter Old Testament by 2004. Nico and Pam then spent several years in a coordinating role contacting other small Polynesian languages across the Pacific to determine their interest in Bible translation. At the same time, they continued to be involved with the Kapingamarangi project and the entire Bible was completed in 2014. Most recently Nico and Pam have served as Project Coordinators for the Isles of the Sea which includes translation projects in Polynesia and Micronesia. Pam is also a Scripture Use specialist for Healing the Wounds of Trauma and has been involved in training both in the Pacific and in Australia. Nico continues to serve as a consultant for a number of Polynesian translation projects.